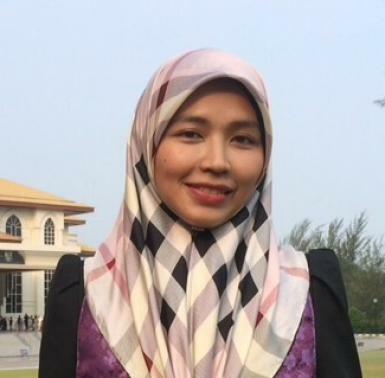 Rosnah Abdullah is currently a lecturer in the Department of Physics at the Faculty of Science, Universiti Brunei Darussalam (UBD), where she has been a faculty member since 2006. She started her academic career as a tutor in the same department, immediately after finishing her first degree, BSc. Education (Hons) from UBD, Brunei, in 2004. Soon, she continued her study and graduated in MSc. (Renewable Energy System Technology) from Loughborough University, UK, in 2006 and PhD degree from Kyoto University, Japan, in 2014. Presently, she is teaching on various modules for undergraduates as well as postgraduates, particularly, the master level. Her research interests lie in the energy related area, ranging from the theory to the design and to the application, with a focus on improving and utilizing locally available resources. Recently, she has started and focused on doing some chemical as well as thermal characterizations on local biomass for potential biofuel productions. Utilizing locally available resources for energy productions.